For large merchandisers or other enterprises, consulting with managed IT services to accurately organize their inventory is seen as a feasible, cost-efficient option. Software solutions capable of streamlining a procurement strategy can provide executives and their subsidiaries with real-time views of products. New methods of identifying packaged items are being implemented into these systems. Many distributors well acquainted with inventory management systems seek to utilize tools providing rapid data collection capabilities. Whether warehouse personnel monitor the procurement process through items, bins or pallets, logging information regarding incoming and outgoing materials is essential for a company to have complete knowledge of all transported products. RFID Journal reported that radio frequency identification (RFID) can be a cost-effective application used to capture data almost anywhere. The article noted that the technology allows those working in distribution centers to scan bar codes every time an item moves. Citing a paper manufacturer as an example, if a forklift driver had to transport a 1-ton roll from one area of the facility to another but needed to rearrange an additional four rolls in order to do so, scanning the latter products automatically relays their new locations into the procurement software. That way, employees don't have to spend hours searching for the correct items. "Tagged pallets can be associated with either an RFID transponder on the rack location, a bar code read by a scanner or an alphanumeric designation picked up by a video camera," the source noted. The latter technology ultimately relates back to remote solutions. According to Tire Business, a software producer based out of Merrimack, N.H., recently created a mobile inventory management program supplying third-party logistics providers and shippers with a remote product organization solution. The article stated that the system is simple to use, incorporating wireless, real-time bar code scanning technology capable of helping tire dealers streamline the procurement process. 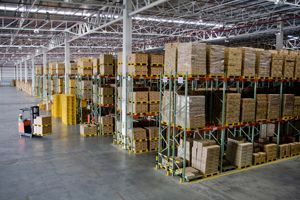 The software vendor stated that the solution can help distributors reduce labor and potentially eliminate days off the task of taking physical inventory. Products can be scanned and added to a customer invoice, a finished transfer or a delivery request. "This streamlined process also allows dealers to incorporate inventory management best practices, such as cycle counts, to maintain a tight control over their inventory," stated the source. Developments in procurement management are eliminating the need to conduct tedious organization processes typically used by companies bereft of an adequate product liquidation solution.